The Cooktwit is blessed. No question, He is blessed. He lives near Red Bank Farm. 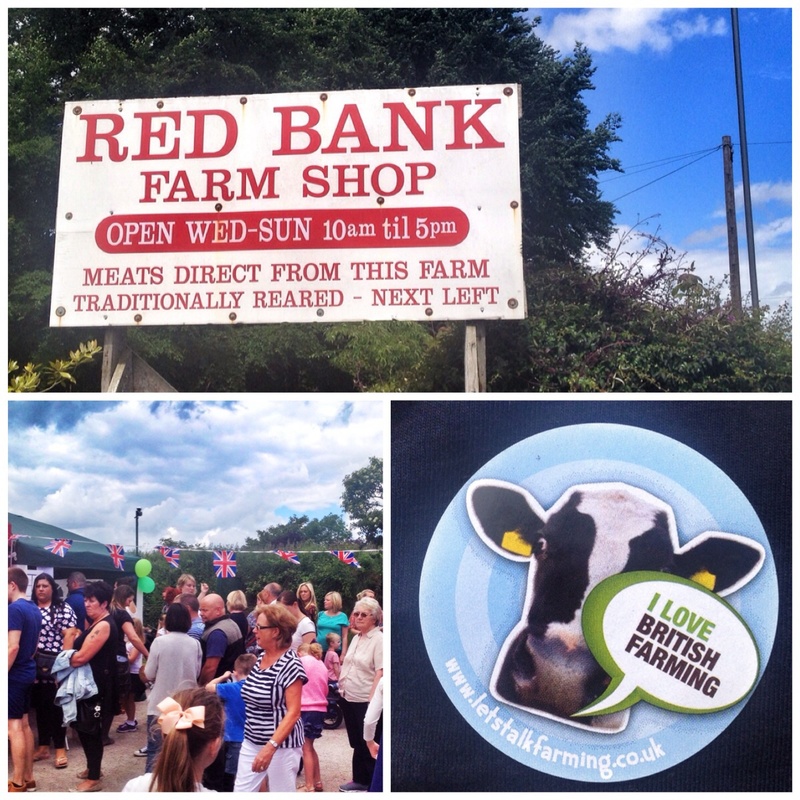 Red Bank Farm is in Newton-le-Willows, a small industrial town, famous for locomotives, canals, arches, The Bulls Head and biscuit machinery! Sadly, all that has gone (including The Bulls Head!). It now has lots of houses, but, within a short scutch of its heart, rolling fields of grass and golf start to appear. Arguably the greatest use of this green bit of Newton-le-Willows is the provision of sheds and grazing pasture for an array of farm animals notably cattle, sheep and pigs. Red Bank Farm studiously manages the raising of these beasts and then rather thoughtfully, arranges to have them slaughtered and beautifully butchered for me to buy. I have tried many cuts over the years and never been less than stunned at the quality. So when a national initiative called ‘Open Farm Sunday’ breaks out it was the work of a moment to get down to Red Bank and see what happens. Open Farm Sunday began in 2006. 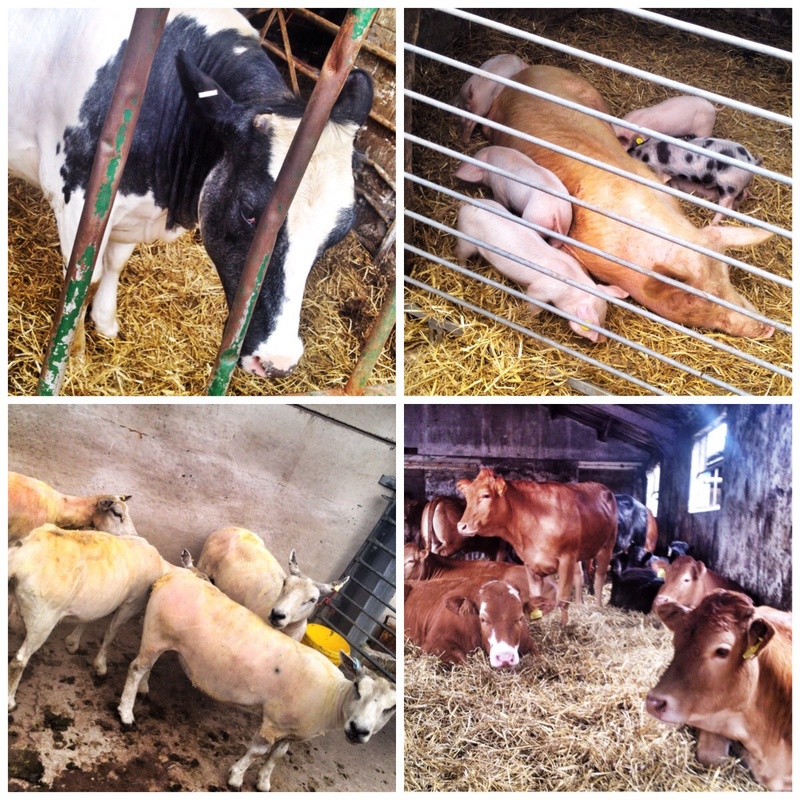 The idea quite simply is for participating farms to open up behind the scenes and allow visitors to wander round and see the animals and machinery that make it all happen. As you might expect the emphasis is on making all this appeal to families and in particular children. Whatever Red Bank Farm had laid on this year seemed to have worked. Newton was in gridlock as cars filled the makeshift carpark and lined the main A49 road into the town. As myself and The Flame had walked it was a stress less entry to the hallowed grounds. I guess there was hundreds of people milling around the farm. Farm hands thoughtfully placed to explain to the children what the animals are and how they are managed. Shetland ponies gently sauntered, whilst all the remaining animals where caged but prominently displayed for the children to see and touch. Hefty, high tech machinery was strategically placed for child photo opportunities. I tried to get one myself but the flame wouldn’t let me! Birds of prey swooped in and out from up high, taking one child high up in the sky before letting him drop (no I made that up, just adding a bit of texture!!). 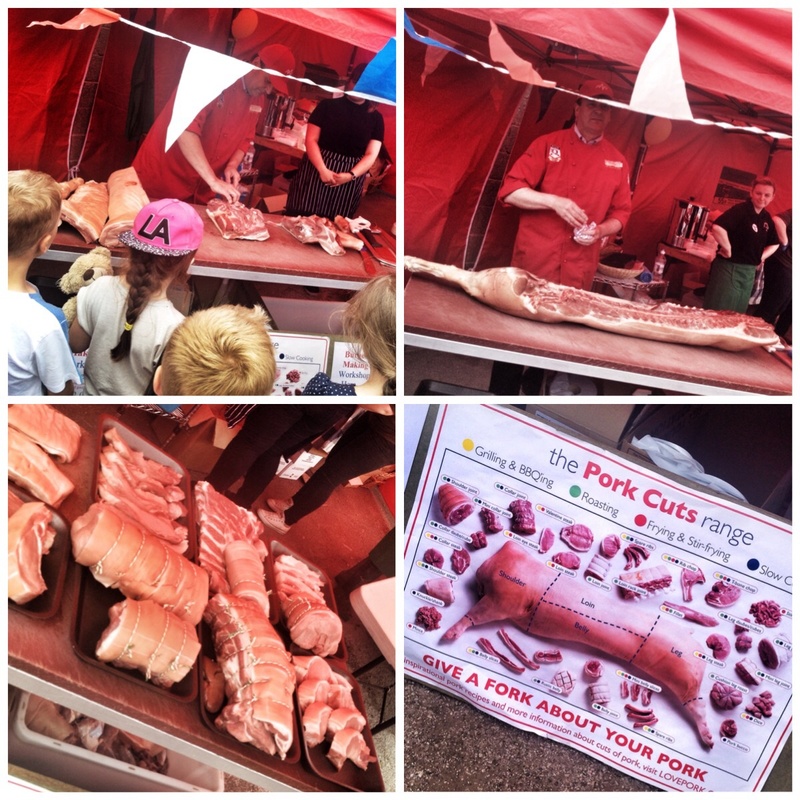 Highlight for me was the butchery demonstration. Scheduled for 1pm, big John, dressed in red in a red tent behind some red bunting stepped forward with a side of pig over his shoulder. The crowd went wild. Well the kids did anyway, I couldn’t get anywhere near. John started to hack, saw and slice his way through this wondrous pink carcass. The kids remained transfixed wondering why there wasn’t any blood! It was amazing to watch. The quality of the meat was clearly evident. John merely having to rest his knife on the flesh to create another saleable cut. After about twenty minutes the beast was left presented in trays. All yours for £100. A bargain. 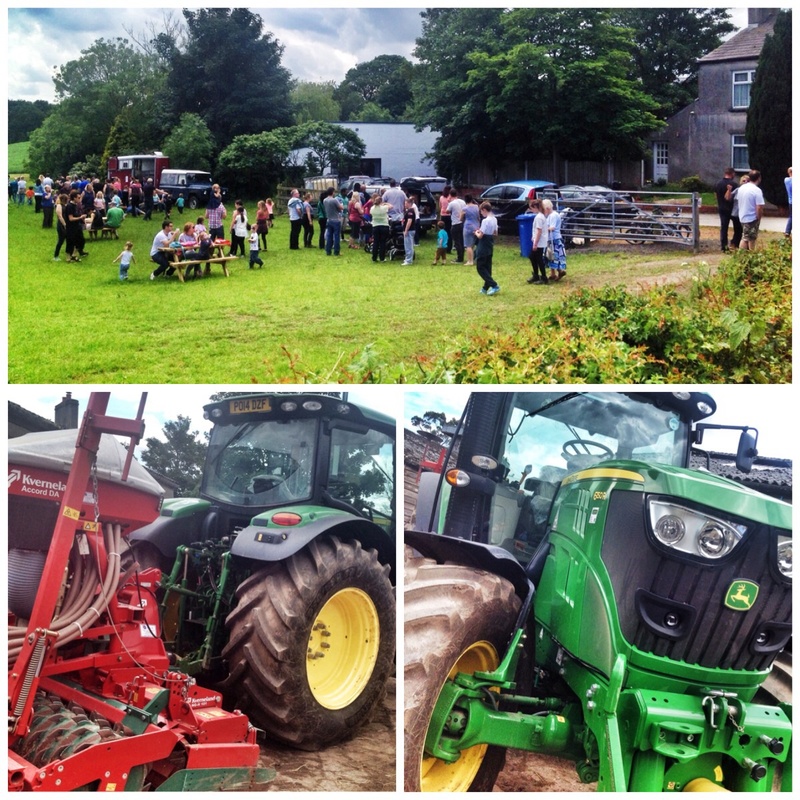 The first Open Farm Sunday welcomed around 30,000 visitors. Since then, Open Farm Sunday has achieved visitor numbers of over 100,000 each year and on 9th June 2013 had a record 200,000 visitors! To date over one million people have attended Open Farm Sunday events since it began. I’m sure this year has been just as successful. The sun was shining and the cars kept coming even when we left. Thankfully I can come back next week and keep on buying this amazing produce. 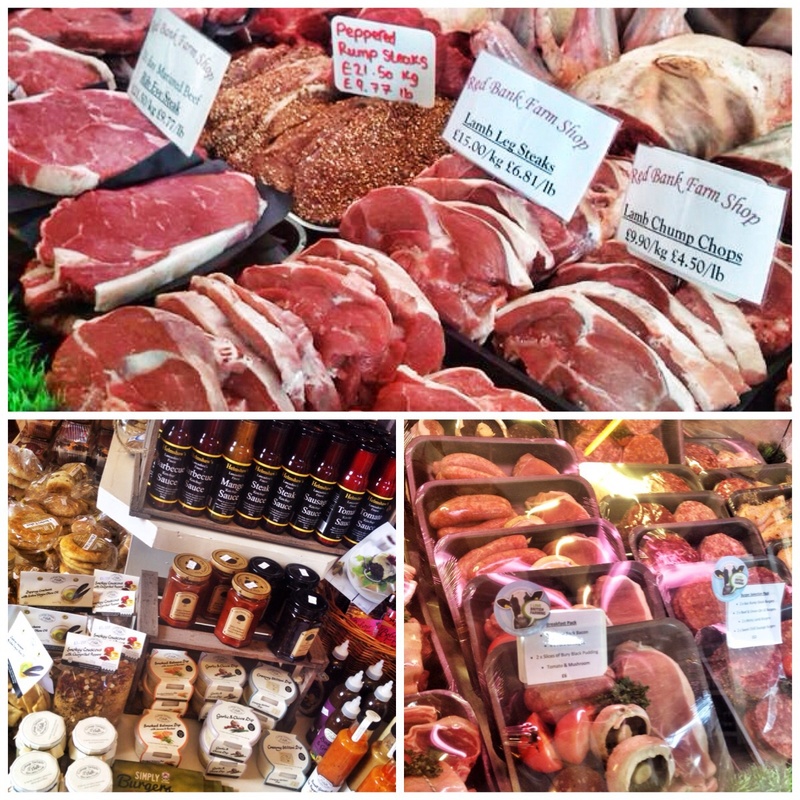 I am immensely proud having been born in Newton that I can buy meat raised and butchered (by Nicola and Joanne) here in Newton as well. Having read Jay Rayner’s wonderful ‘Greedy man’ book, I accept that globally, communities cannot all sustain themselves and that I am extremely fortunate to be able to buy this produce locally and afford to buy it. At least I know by supporting local businesses I am helping in a small way for a local business to survive. Long may Red Bank Farm and all other farms continue. Use them or lose them, that’s what I say.